Allen Susser's practice focuses primarily on real estate and business transactions, as well as the representation of creditors' in commercial and consumer loan debt collections and foreclosure. The real estate and transactions part of his practice includes: the sale and purchase of commercial and residential real estate; the financing and refinancing of commercial and residential real estate; and the creation, acquisition, sale, merger and dissolution of business entities. The creditors' rights part of his practice includes: commercial loan workouts, consumer debt collections, bankruptcy, and commercial and residential foreclosure. Mr. Susser has been included in the 2013, 2014, 2015, 2016, 2017 and 2019 list of New Jersey Super Lawyers for Business Litigation. He was also included in the list of Bergen's "Top Lawyers" in 2014, 2015, 2016, 2017 and 2018, by (201) Magazine, in Business, Corporate & Commercial and Real Estate. He has also received an AV Preeminent rating by Martindale-Hubbell. Mr. Susser was a law clerk to the Hon. Irving I. Rubin, Superior Court of New Jersey, 1977-78. 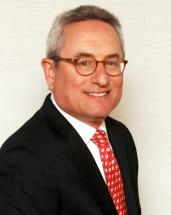 He joined Cohn Lifland in 1987. Mr. Susser is a member of the New Jersey State Bar Association and the Passaic County Bar Association, of which he was a member of the Board of Trustees from 1984 to 1987. He was a member of the Board of Trustees, Passaic County Legal Aid Society from 1982 to 1987. Mr. Susser was a member of the Board of Directors of the Y.M. & Y.W.H.A. of North Jersey from 1985-1995. He is presently a member of the board of directors of The National Foundation for Teen Safe Driving, having been appointed to that position in September 2015.